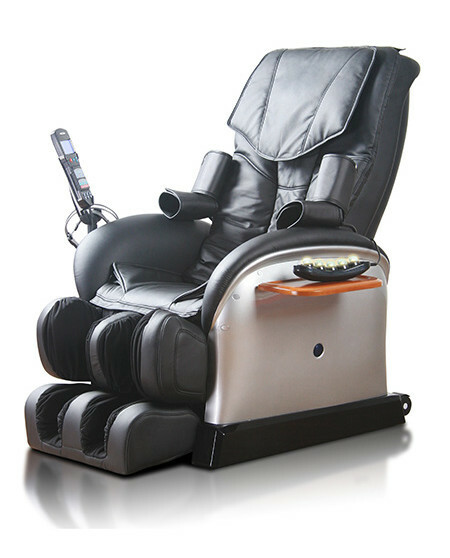 The product is fitted up one set of vertically movable, quad-roller, and soundproof designed mechanical massage hands; it provides four artificial massage functions of Shiatsu, kneading, flapping, and kneading flapping synchronous. Blue light LCD control shows all the massage functions, action modes, lasting time, massage speed, intensity, width of the massage hands, massage position and so on. The back light will last one minute after stop of the massage. 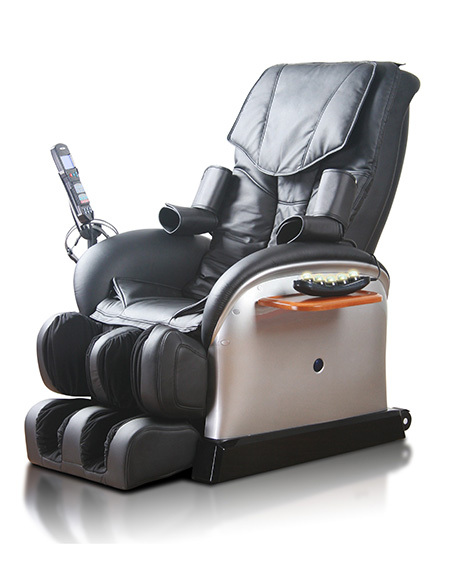 Under the automatic mode, it offers multi-functional automatic massage method. It has three combination massage options of the whole body, the shoulder and the neck, the back and the waist. The seat cushion is mounted with three air bags; the calf rest is mounted with eight air bags; four air-massages combination; five levels intensity and together with calf traction function. It automatically scans your shoulder upward and downward to determine the position after the massage starts. And the massage hands will repost automatically after it stops.